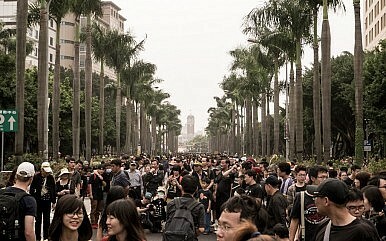 On March 30, 2014, 500,000 Taiwanese, according to some observers, gathered in a rally against the hasty ratification of the contentious Cross-Strait Services Trade Agreement (CSSTA). The rally marked the climax of the recently concluded 24-day student-led sit-in protest inside Taiwan’s Legislative Yuan (LY). Some considered the protest’s rationale plausible and others did not; regardless, a sound resolution must be found before unwanted consequences and renewed uncertainties in cross-strait relations take effect. The CSSTA opens selected service-sector markets in Taiwan to mainland Chinese investment, and vice versa, within the context of the Cross-Strait Economic Cooperation Framework Agreement (ECFA). It aims to formalize existing business practices and lift trade restrictions between Taiwan and China. China would open a total of 80 market segments while Taiwan would liberalize 64 industries. As the smaller economy, Taiwan is expected to benefit more from China’s larger market. Many observers have projected that Taiwan’s financial and retail-related industries, which together compose roughly 25 percent of Taiwan’s gross domestic product (GDP), would emerge as the primary beneficiaries. For instance, Taiwanese securities firms would be eligible for fully-licensed operations in China and a maximum investment stake of up to 51 percent of the total venture. Taiwanese banks could offer an expanded Renminbi (RMB) service platform, and open sub-branches in China’s Fujian Province. While trade liberalization enables structural reforms and a more rational allocation of resources, in addition to broader market-opening, the CSSTA is not without economic flaws. In particular, it fosters asymmetric competition, insufficiently reflects service providers’ comparative advantages, and does not address potentially marginalized groups. Taiwan’s service sector produces almost 70 percent of its GDP. It consists mainly of small- and medium-sized enterprises (SME). This stands in stark contrast to their Chinese counterparts, who are usually larger, better-funded state-owned enterprises (SOE). For example, The Boston Consulting Group valued China’s overall travel market in 2010 at US$158.6 billion, which is mainly shared by three Chinese SOEs and their affiliates in an oligopoly industry structure. In contrast, there are over 3,000 companies competing in the US$744 million travel market in Taiwan. This scale disparity threatens to place the Taiwanese SMEs at a competitive disadvantage. Other domestic barriers will remain after the CSSTA’s implementation. In regards to e-commerce, Taiwanese portals, such as Yahoo/Kimo and PChome, will continue to be barred from entering China. Some Chinese firms, such as Taobao.com, already operate in Taiwan without similar market restrictions. Also, local Chinese spas and hairdressers are subject to a flat-tax scheme, while Taiwanese entrants may face higher operating expenses, and thus less competitiveness, due to China’s progressive income tax mechanism for external investors. The Chung-Hua Institute for Economic Research, a policy institute for Taiwan’s government, has projected that the CSSTA will increase Taiwan’s GDP growth by 0.025-0.034 percent. The study suggests that a few targeted beneficiaries would provide the greatest economic contribution. Many service providers are clustered in lower-entry-barrier industries, such as laundromats and printing shops, and they would inevitably feel the effects of increased competition. It is not clear if the CSSTA provides trade adjustment assistance, offers grace periods to cushion the blow, or institutes plans to help meet the new market challenges. The other stakeholders are the workers. Taiwan’s service sector employs nearly 60 percent of its workforce. The CSSTA could potentially affect roughly 2.85 million people’s livelihoods. With the average annual real salary in 2013 shrinking back to the level of 16 years ago, at around US$14,400 in 1997 dollars, lower-skilled workers in less competitive industries are already at risk. Younger workers may be greatly affected, as many are experiencing a lack of job mobility and stagnation in entry-level wages which run approximately 38 percent below norm. These concerns were exacerbated by the recent actions of the ruling Chinese Nationalist Party (KMT). Last summer, under public pressure, the KMT agreed to a bi-partisan, line-by-line legislative review of the CSSTA. However, at a committee hearing in March the KMT chose to bypass democratic procedures and attempted to force the CSSTA’s passage following a stalemate with the opposition Democratic Progressive Party (DPP). By reneging on its commitment, the KMT angered an increasingly disgruntled populace. Since returning to power in 2008, the KMT has struggled to produce economic growth and to successfully implement policy directives. The combination of domestic tensions and the inherent sensitivity of cross-strait relations generates heightened public distrust, which widens the KMT administration’s credibility gap. Several recent polls have shown a consistent majority of respondents not only supports the protest, but also demands greater civic and legislative oversight over the negotiation processes to ensure that future pacts with China are based on equal and dignified terms. As an old Chinese saying goes, “perilous circumstances are a means to seizing opportunities.” As the protest has concluded peacefully, party leaders on both sides should take heed of the public outcry and address the CSSTA’s shortcomings by making a concerted effort to find a constructive way forward. Specifically, the KMT administration needs to consider the issues raised by protesters seriously, and take credible actions to restore public trust and the government’s accountability. For its part, the DPP must demonstrate its ability to participate responsibly in the trade agreement deliberation processes if it wishes to be considered a viable contender and a respectful international partner going into Taiwan’s 2014 and 2016 election cycles. This path forward is essential to reducing business uncertainties regarding China, Taiwan’s top trading partner, and as a basis for future cross-strait talks. It would also serve as an important signal to other countries in evaluating Taiwan as a potential trade partner. The March rally did not indicate Taiwanese are anti-trade, but rather that they are wary of closed-door negotiations as well as over-reliance on one market and the ensuing systematic risk. Such anxieties could be eased through an open and consistent communication with the people. Additionally, efforts to increase a greater diversity of Taiwan’s trade relationships, through both the United States-Taiwan Trade and Investment Framework Agreement (TIFA) and potential accession to the Trans-Pacific Partnership (TPP), would be a significant step forward. JoAnn Fan is a venture capitalist specializing in trade and investment in the Greater China region. She is currently serving as a Visiting Fellow at the Brookings Institution’s Center for East Asian Policy Studies. The Diplomat's Ankit Panda and Shannon Tiezzi speak to J. Michael Cole about Taiwanese politics and society.